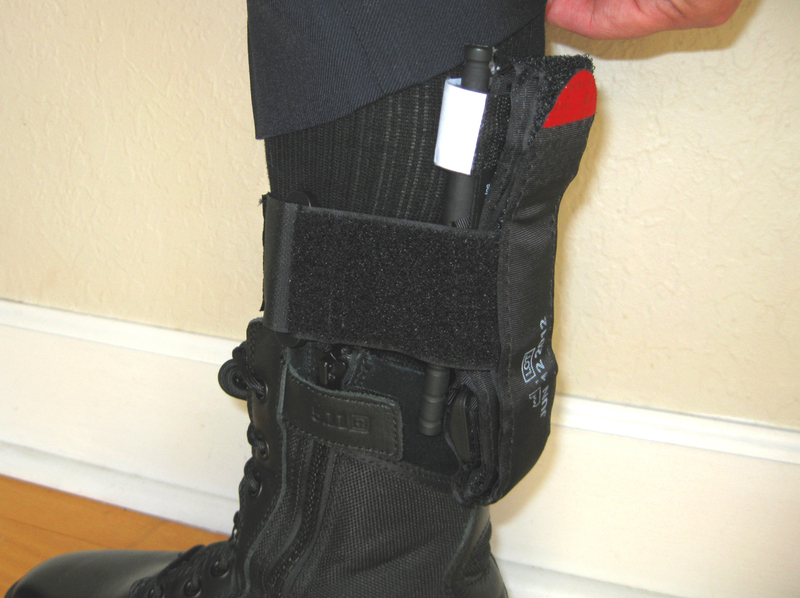 A West Central Florida police officer/SWAT member has come up with a simple carry method for ancillary equipment with external clips or sheaths. She calls it the T.U.C.Rig for Tactical Under Carry Rig. Consisting of a nylon strap, single buckle, and hook and loop closure, it can secure items that have clips, such as knives and flashlights. 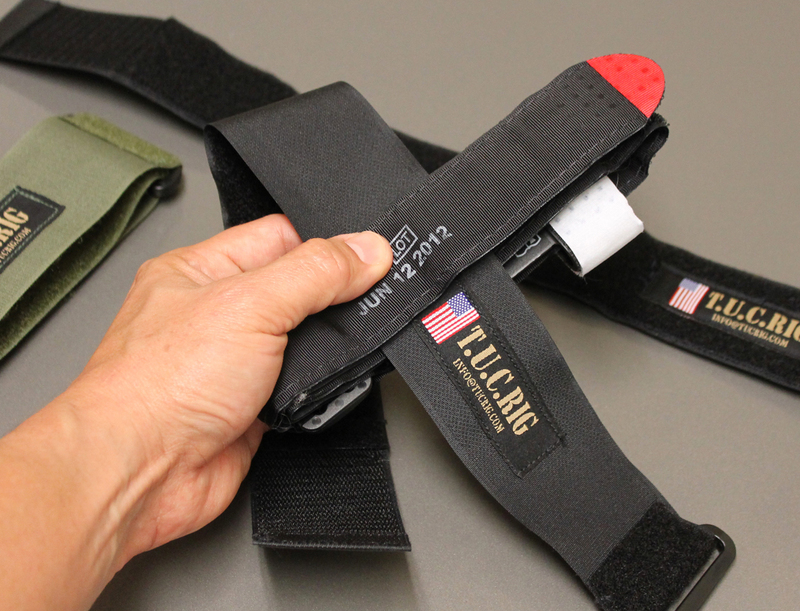 It can also be threaded through pouches with belt loops or MOLLE attachments. 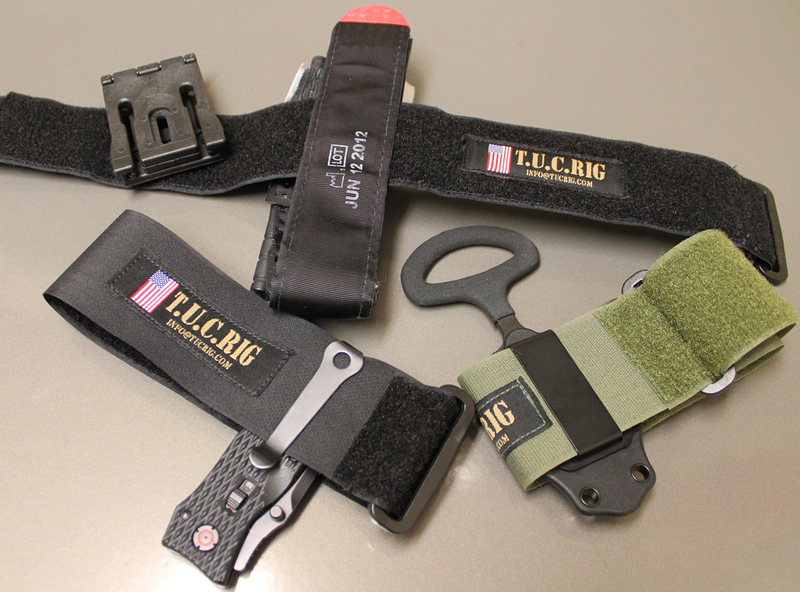 The T.U.C.Rig mounts on the ankle, arm, or even on body armor vest straps. For the last two months, I have been using the T.U.C.Rig to tote my C.A.T. Tourniquet while on shift. I attach the hook and loop of the T.U.C.Rig into the hook and loop of the C.A.T. and cinch it to my ankle above the boot. They are not going to come off and I do not feel them during the day. Since I was looking for a minimalist way to carry my tourniquet, this was the perfect solution. To field test the T.U.C.Rig, the inventing officer, who carries a folding knife clipped over her boot with the rig, has enlisted (or conscripted…) several tactical operators, patrol cops, and fire rescue personnel. Since the T.U.C.Rig is versatile, everyone seems to have his or her own spin on how to use it. Someone hooked an iPod into it for armband carry. 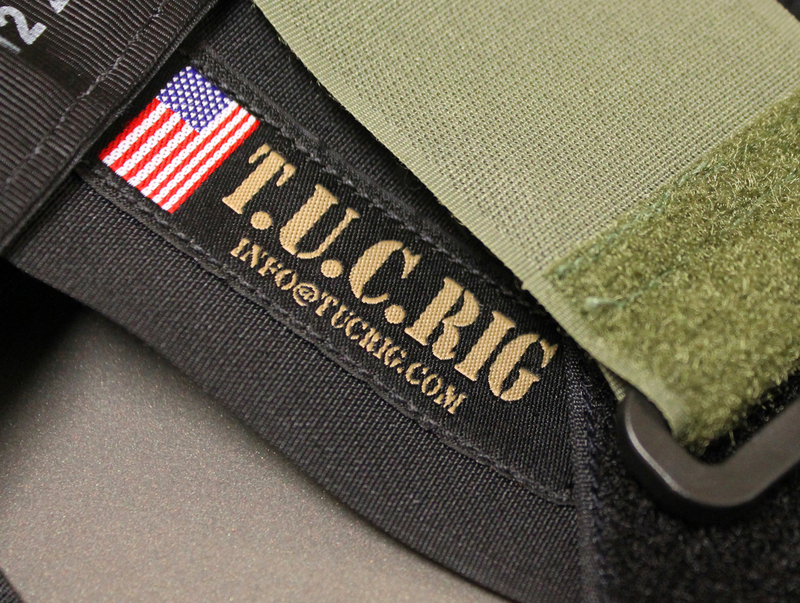 The T.U.C.Rig comes in Black, OD Green, and Tan. There are two versions. One has the nylon strap with the loop field on a single side, while the second has the fuzzy loop field on both sides of the strap. With the loop material on both sides, the rig is just a little thicker, but is softer against the skin. 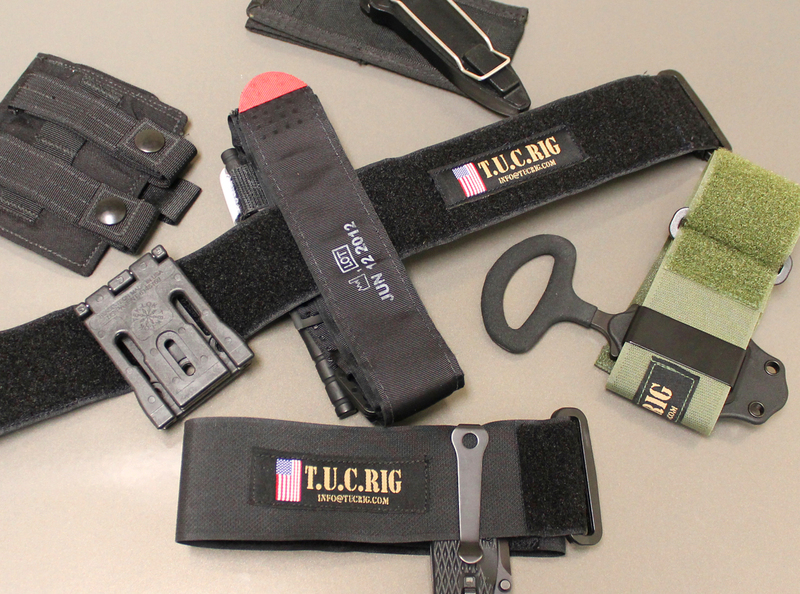 The T.U.C.Rig is Made in the USA, specifically Florida, and not Offshore. They can be ordered directly at info@tucrig.com. T.U.C.Rigs will also appear in select retail stores. The price is less than $14.00. This entry was posted in Concealed Carry, Florida Companies, Knives, Medical, Technology and tagged C.A.T. Tourniquiet, Police Duty Knife, Police Equipment, T.U.C.Rig, Tactical Under Carry Rig. Bookmark the permalink. Not much into tactical but I can see many uses in the hunting world. I have mine on the way. Simple and very functional, I’m ordering one now. Welcome, Jim! Weren’t we just on an OIS together last night? Just got mine… Using it for many purposes!!! Everything from carrying my clip knife, spare set of gloves on my kit and keeping a tourniquet close by… Get the dang thing out of your glove box, it needs to be on you! Stay low and go….